Now, I love camping. I really do. The fresh air. The birds singing in the morning. The slower pace of life. There is just one thing that I really do hate every time. The tent! You would think I would learn how to put it up and that I'd be more careful about losing pegs, but after 20 years of camping I have never mastered this to the point where I'm not stressed out of my brains. I'm not even going to mention having to dry the tent after weekend sheltering from the rain. You see, out of all the reasons I go camping, I don't actually need a tent to enjoy pretty much all of them. Although you can't deny that surviving a weekend in a tent where the British weather really does it's thing and rains non-stop, doesn't give you a grizzly sense of satisfaction that you're actually hard as nails. Do I really want to endure a weekend of misery though just to build some character? I mean, I could just go glamping and have a great time from start to finish? And when I get home I'll not have that sense of accomplishment, but instead I'll have had this great holiday to look back on. Now some will argue that I'm a bit of a wimp. Maybe I am? Do I care? A little bit, but that's what keeps me human. Whilst those calling me a wimp spend their rainy weekends in a little tent, with a sodden ground sheet and a puddle forming on the top of the tent because you couldn't pull the tent tight enough due to the lost pegs, I shall be snuggling up all cosy in my Wigwam. I'll be warm and comfortable, and will even have a kettle. And when the sun finally does come out? Instead of hanging up things to dry, I'll just open a bottle of wine and step outside and enjoy the great outdoors. Less packing means one thing less to forget. Unless you are forgetting it on purpose *cough*the tent*cough*. Leaving the tent behind will leave you a whole load of extra space in the car, so the journey will be extra comfortable and you needn't worry about whether you remembered the guy ropes or not. If you want to save even more space, we've even written a guide on how to pack for your glamping holiday. 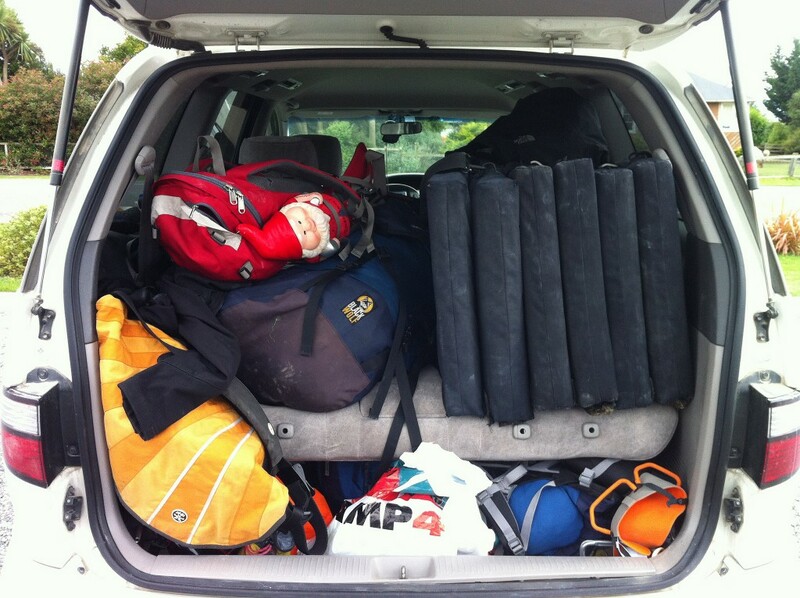 Car packed full to the brim and you've even got bags on your lap - not the best way to start your holiday really? 2. Camping is cold. Glamping is not. Unless you are really hardy or even just silly, then you'll know that camping in the UK is really confined to April to October. Even then though, April, May, September and October have been known to produce some of the coldest nights I've ever experienced in a tent and I've camped in December and January. Fortunately though, glamping is more often than not a year round type of accommodation. Wigwams are incredibly insulated and even have a small heater inside, so you can dry off your clothes on even the wettest and coldest of days. Even on a cold night you can sit by the fire under the stars. 3. A well rested glamper is a happy glamper. But how many times have you struggled to sleep in your tent? Your roll mat just isn't thick enough to iron the bumps in the ground. Maybe you can't sleep unless you're perfectly on the flat? What about that group on the other side of the campsite making a bit of noise, tent walls doing nothing to block the sound out? A glamper on the other hand can go to sleep every night knowing the bed is flat and comfortable and the insulated Wigwam will keep most outside noises out. You'll not need to listen to any rain pounding on the tent canopy or cars driving off early in the morning. You can wake up after a great nights sleep and be ready for the day ahead. You'll feel as fresh as this looks. 4. You'll find yourself in amazing places. Now if you're looking to get out into the wild and go really remote, then glamping can't quite provide that unless you can shrink a Wigwam (If you can, give us an email please ;-) )? 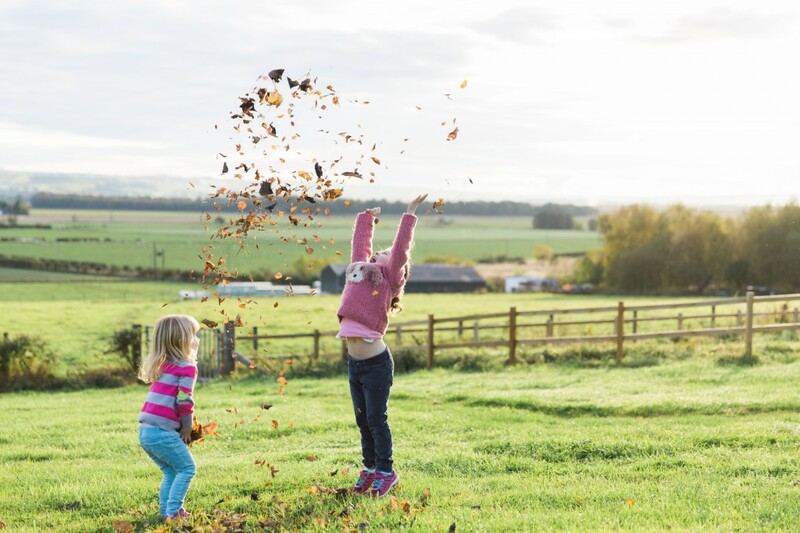 However, more often than not glamping sites really are just in the most incredible locations, which seems to be a bit of a rarity when it comes to campsites these days. You might found yourself in the middle of a mountain range, on an island or in the rolling hills of rural Britain. You can almost guarantee that the site you're staying at will have a killer view though. 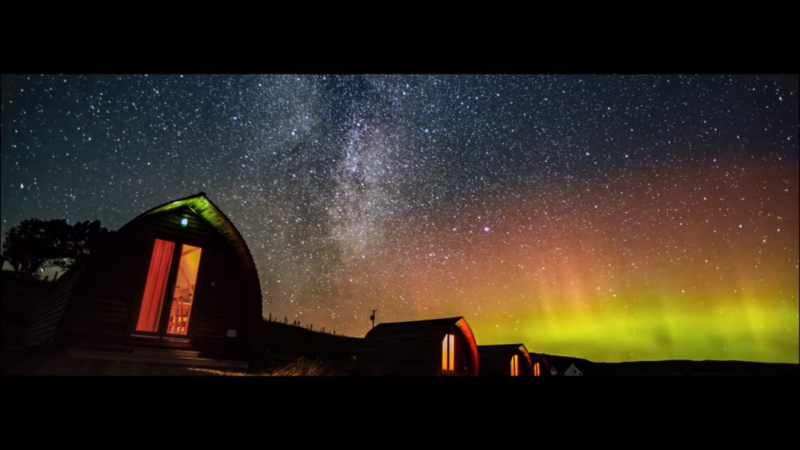 Shulista Croft recently featured in the Visit Scotland 2016 campaign. You can see the Northern Lights there often during September and March. The obvious one. The one I've mentioned just few times. Seriously though, leaving the tent at home is the best thing you can do. You can just rock up and begin your holiday from the moment you step out the car. Statistics say that glamping reduces divorce rates by 80%, but they also say that 97.6% of all statistics are made up. Believe what you like, but reduced stress must lead to a happier relationship. Glamping has even taken the stress out of lighting a fire in the evening. Whilst there are those out there can light a fire as if they can breath fire, some of us lack this skill, so it's pretty awesome that you can arrive at your glamping site and find a ready built fire that you only need to take a lit match to and you'll be going for hours. 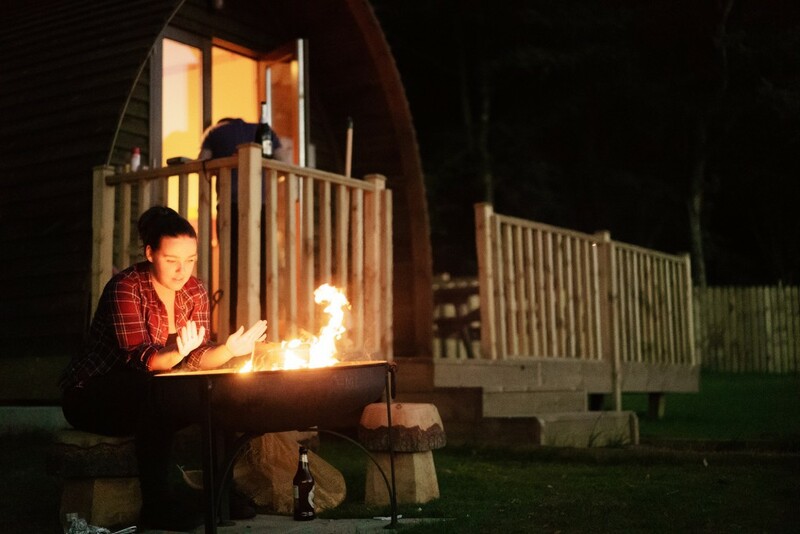 We've even taken the liberty in writing a guide on how to build your own fire when you're glamping if you fancy glamming down the glamping. Turn up and everything is ready for you and you'll not worry about a thing. So, if I've succeeded in persuading you to ditch the tent in favour of a glamping holiday, then obviously you'll need book somewhere. 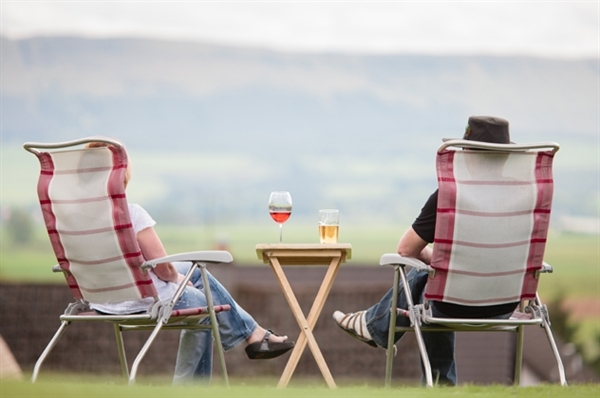 Well isn't it handy that we, Wigwam Holidays, have 80 sites in the UK. 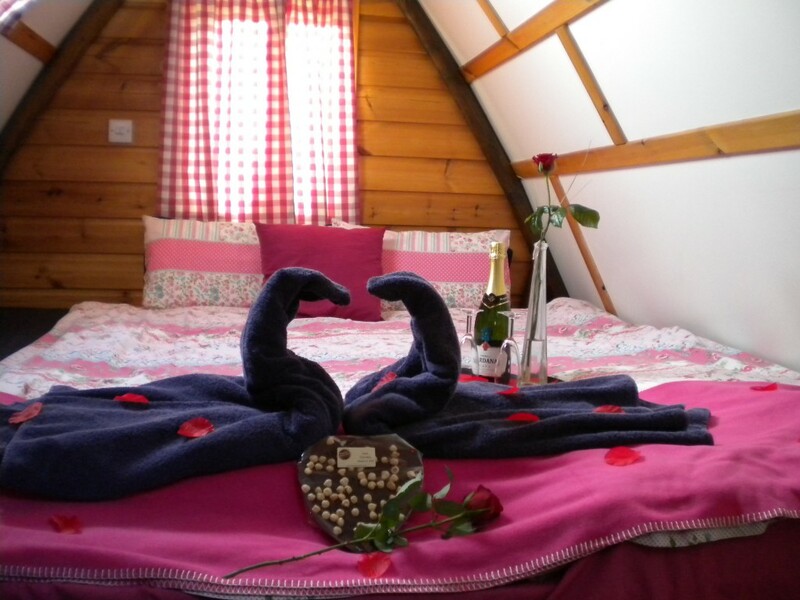 Each with their own unique twist on the Wigwam Holidays core values, so you have that consistent quality accommodation, but a different holiday everywhere you go. You can book online here.